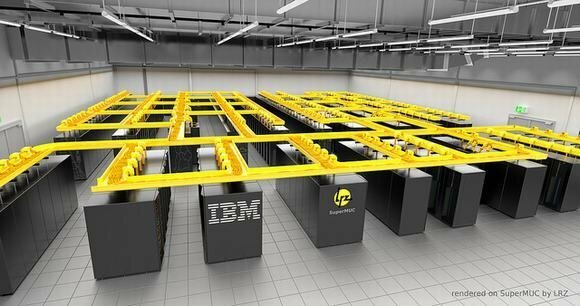 IBM Zurich, in collaboration with The Leibniz Supercomputing Centre, has developed the world's first water-cooled supercomputer, called SuperMUC. Using hot water to cool racks instead of air conditioning cuts electricity use by 40%. What's more, the hot water from such a system could also be used to heat adjacent office buildings.